Courtesy of Beverly Shannon, Alpine Realty. GRAND great room with dominating brick fireplace and hearth, perfectly accentuated by wood, walls, beams, and ceiling gives warm comfort to this area with 4 large picture windows which brings the outdoors in and a custom built credenza. The kitchen is LARGE, open with amazing storage and counter spaces, wet bar, mini refrigerator, and custom buffet. Wolf gas range and grill, double ovens, freezer & refrigerator side by side space, informal kitchen as well as a formal dining area. Huge Amount of storage throughout the home. Envy the laundry room. 5 Bedrooms plus an indoor hot tub room. Loads of natural light. The outdoors offers a private, set back feel behind natural woodland with a circular driveway. Metal side and back yard fencing, decking for summer enjoyment and lovely landscaping. Seasonal Creek. Storage shed, 2nd garage & equiptment port . Whole house back up generator. New Back Deck with access to septic tank lids. Painted exterior home and out buildings 2017 with 20 Yr Guarantee. Driveway alarms. Dish for TV and internet. Serenity garden pond with pump. Attached Garage has 2 openers. Upgraded irrigation system with new timer. Roof is approx 10 years old. Please, send me more information on this property: MLS# 113028 – $510,000 – 1401 Timber Hills Road, Mt Shasta, CA 96067. 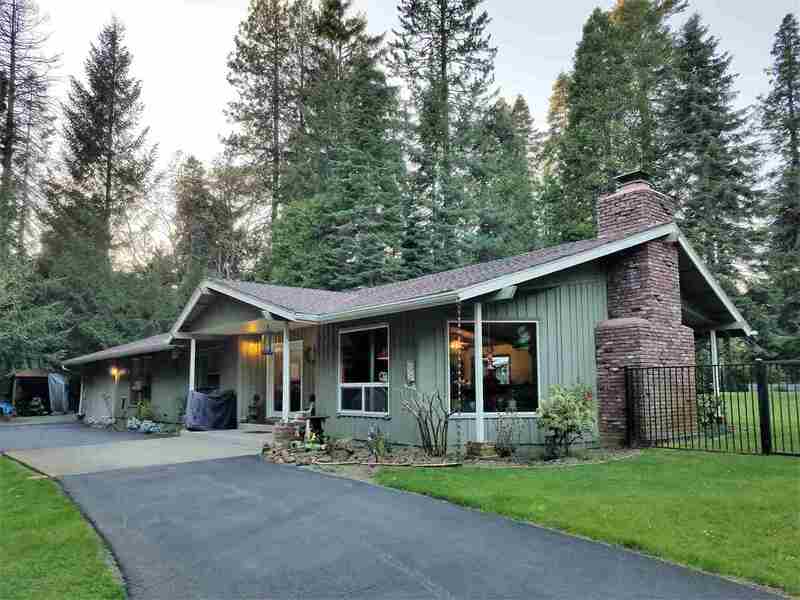 I would like to schedule a private showing for this property: MLS# 113028 – $510,000 – 1401 Timber Hills Road, Mt Shasta, CA 96067.